Aikatsu! – 171 | Mezashite! Whoa there be some crazy rumors floating around about what’s going to happen after this season of Aikatsu. Please be mindful of spoilers. Also, happy birthday to Madoka, as well as happy Valentine’s day. This entry was posted in Aikatsu! Yon by Akatsukin. Bookmark the permalink. If Rin and Madoka sang “Friend” in this episode, then maybe Akari and Yuu (marking her 3DCG debut, maybe) will perform “Sweet Sp!ce”, sometime soon. Is it just me or was Rin’s singing voice different this episode? When you compare it to MY SHOW TIME! it sounds completely different, at least to me. I think their voices were accidentally switched. If ~rumors~ are true, will you continue to sub Aikatsu no matter what form it takes? Given the popularity of all things Aikatsu in Japan, not just the anime, I doubt the writers will change things THAT drastically that Mezashite would give up on it. Just a guess though. Unless there’s something I’m missing, the rumours seem to be completely overblown. Aikatsu! Stars is the name of the real-life idol group, so it makes sense that it’s being trademarked. Western fans speculate about everything because they have no idea as to what they’re talking about. The show will go on. We will find out more next week, as there are “big announcements” being made regarding Aikatsu. While I hope the rumors are overblown, I honestly believe them for the most part. The game system seems ancient compared to PriPara, so it would make sense for a series overhaul right now with an arcade game update. The rumor is that the scan system will change and not use barcodes anymore, and I would assume the 3D models will finally be updated to something more current. Also, a character designer tweeted about leaving Aikatsu for the new season this April. It seems pretty clear that the series will have a Pretty Rhythm-esque reboot. Whether that means all old characters and brands are gone or not, I don’t know, but I think it is more than just them trademarking the name of the real life idol group (which I am sure has already been trademarked in relation to the real life singers. There is no way they would have existed for 2~ years without it?). The show continuing isn’t up for debate, it is just about whether it will continue to be a direct sequel or a new edition to the franchise entirely. Also, the game lately has /felt/ final, or like a change has been coming. The second cycle of 2016 (nidan) allowed you to play as any idol in the game, when normally you need to use tickets earned from gameplay and using idolook to use most (older) idols. Not only did that continue into the third cycle (sandan), but the third cycle cards are “all brand” and “all rare” dresses. Normally there are two-three premium dresses, a handful of rare dresses, and a lot of normal cards. This cycle every single card is rare (aside from premiums) and every brand is featured (usually older brands not featured in the show like Aurora Fantasy, Spicy Ageha, Bohemian Sky, Love Moonrise, etc do note get new cards). All of that has felt really strange playing the game this past year, so I wouldn’t be surprised if it was leading to some sort of change. Rumors are real they just announced it at the live illusion stage with footage. I know not of rumors. 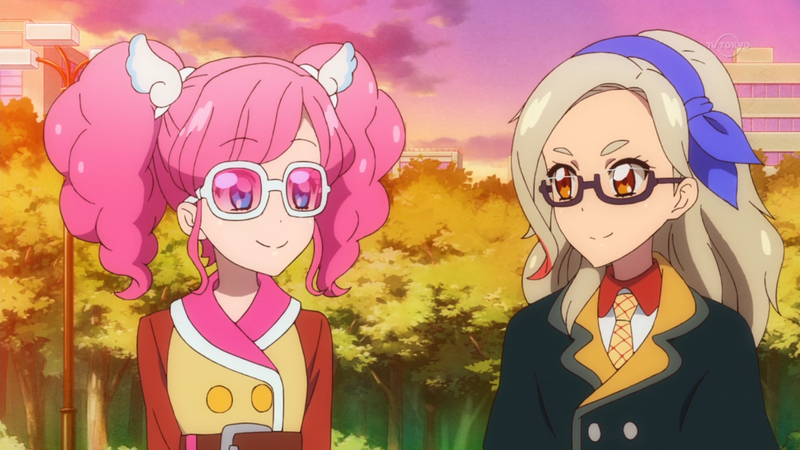 I need to find a good Aikatsu site like they have for Poké-things. Thoughts on subbing the STAR ANIS/AIKATSU STARS concert blu-rays?………..Anyone?………..No?……….okay. Would be nice but if you have a basic knowledge of Japanese the MCing is pretty easy to understand. I’d rather see subs for Music Awards. May i ask, if you know, where i can find RAW? Sure, I’ll give it a go. Thanks Don for the link. I can’t promise it will be competent and might be a zillion GB but I’ll try. If it works out I’ve got the Aikatsu Stars blu-rays on order too.